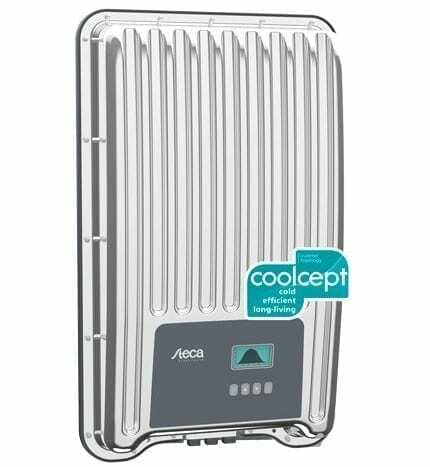 The Steca Coolcept-x StecaGrid 2500x 2.5kW Solar Inverter ` high efficiency results in a peak efficiency of 98.6 % and a European efficiency of up to 98.3 %, which results in less lost power that must be dissipated into the environment. This improves your yields. In addition to this, a new and unique cooling concept inside the inverter ensures an even distribution of the dissipated heat and a long service life for the device. The Steca Coolcept-x StecaGrid 2500x 2.5kW Solar Inverter has a graphical LCD display for visualising the energy yield values, current performance and operating parameters of the system. Its innovative menu allows individual selection of the various measurements. The guided, pre-programmed menu allows easy final commissioning of the device.